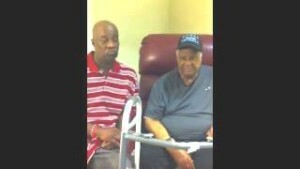 A war veteran is being held against his will in assisted living with the endorsement of the Memphis VA Medical Center. Norman Hughes Jr., 81, is a Korean and Vietnam War veteran who’s currently paying $7,000 per month to live in the Kirby Pines Retirement Home in Memphis even though he told The Daily Caller he wants to live with a caretaker named Debbie McCoy — at her home paying $2,700 per month — where she has run a VA-certified living assistance facility for fifteen years with no complaints until this case. “I need somebody to help me get out of here,” said Hughes from his room. In late 2012, Hughes was living with McCoy when he decided to remove his cousin, Mary Ann Phillips, from a bank account he held with nearly $150,000 in it because of a pattern of unpaid bills and missing money. According to interviews with Hughes, his son Bernard, granddaughter Cavita, ex-wife Doris Jones, and McCoy, Phillips was enraged by the move and approached the VA with a series of unsubstantiated charges which were filed formally on December 29, 2012. Philips claimed that Hughes was unshaven and dirty, that his room was a mess, and that he had developed a bed sore at McCoy’s home. But Bernard and Cavita Hughes said they both visited Hughes regularly during this time period and would have noticed if it wasn’t clean and safe. In early 2013, Norman Hughes went to the Memphis VA to get treated for a form of neuropathy. While in the hospital, Phillips told him he needed to take some tests with another doctor. Phillips took Hughes to see Dr. Felicie Wyatt, who specialized in internal and geriatric medicine, telling him he needed routine tests. Instead, Dr. Wyatt tested Hughes for his mental competency. Hughes, his son, and McCoy all insist he was tricked into seeing this doctor. Hughes’ case is one of many in the United States, according to Elaine Renoire, the president of the National Association to Stop Guardian Abuse, who told The DC she’s seen the elderly abused by the process to determine their competence hundreds of times. At the time, Dr. Wyatt worked in the Memphis VA Medical Center’s geriatrics, hospice and palliative care department, which Renoire said was inappropriate because Tennessee law allows only physicians with an expertise in competency to make that assessment. Dr. Wyatt no longer works at the Memphis VA Medical Center, according to staff. Another phone number provided for Dr. Wyatt by the Health Grades website went to a voicemail which wasn’t set up. Buoyed by Dr. Wyatt’s competency determination, Phillips and the VA maneuvered the case into probate court where Memphis attorney Keith Dobbs was appointed VA guardian — he named Phillips conservator. Hughes was represented in probate court by Memphis attorney J. Anthony Bradley, who acknowledged The DC’s request for comment, but declined to produce an on-the-record response. According to court records, Dobbs has been receiving 7% of Hughes monthly retirement income for more than a year. Dobbs currently has twenty cases in Shelby County, Tennessee probate court, including seven involving the VA. While the probate court has two judges, his judge in each case is Shelby County Probate Judge Karen Webster. Webster was elected to her eight-year term in 2006 and faces re-election in November. Hughes then saw his regular physician, Dr. Robert Burns, who entered a report with the court on April 3, 2013, declaring him competent. Because of the complexity of the situation, James Bingham was appointed as guardian ad litem — an individual appointed by the court to represent the interests of children, the mentally ill, or disabled persons. Bingham dismissed Dr. Burns opinion and sided with Dr. Wyatt. Based on Bingham’s report, Hughes has been a ward of the state since early 2013, unable to make any financial or medical decisions while he is given an allowance by Dobbs of $500 monthly. Renoire said Dr. Burns’ opinion should have received more professional respect. “A personal physician’s report should have precedence over a physician who comparatively may have spent a short time with Mr. Hughes,” Renoire said. Bingham, who declined to comment for this story, charged $250 an hour for his services, according to numerous court documents. Bingham also interviewed another Memphis VA doctor named Dr. Whitney Shroyer, who appeared to concur with Dr. Wyatt, filing a report with the court on October 30, 2013. Bingham quoted Dr. Shroyer even though there’s no record she filed a formal report. Shroyer wasn’t a full doctor, but rather part of the University of Tennessee Health Sciences Center’s Internal Medicine Residency Program, doing her residency at the Memphis VA.
Dr. Shroyer could not be reached for comment. Sandra Glover, the press person for the Veteran Integrated Services Network 9, which includes the Memphis VA Medical Center, also declined to comment. An email to Dr. Jeff Caughran, the chief resident for UTHSC’s internal medical residency program, was also left unreturned. The guidelines for the UTHS internal medicine residency program direct residents not to make any important medical decision without having supervision at all times. With Dobbs in charge of where Hughes lives, the veteran has been forced to stay at Kirby Pines. Dobbs declined to comment on the case when reached by phone. According to a May 2, 2014 filing, Mr. Hughes is down to $80,000 in total assets. Click and see the video of Norman Hughes’ passionate plea for help. After Mr. Hughes’ plight received publicity, instead of Mr. Hughes’ guardian listening to and addressing his concerns, the guardian cut off visitation. 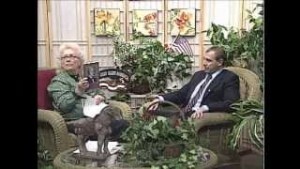 Click to see the video of investigative journalist Michael Volpe’s guest appearance on “North Shore LIVE: Cooper’s Corner” detailing his investigation in Norman Hughes case. …”As he faces another Memorial Day, Ronald White’s life remains a “blessed’’ struggle. The 69-year-old disabled Vietnam veteran walks with a cane these days. He’s had to move from his house into a group home. But his biggest worries remain the financial stress caused when a fiduciary assigned by the Department of Veterans Affairs — a stranger he’s met only a handful of times — allegedly misappropriated a chunk of his savings. “I’m blessed. I’m blessed,’’ White assures a visitor when asked how he’s holding up. But when the subject turns to Keith L. Dobbs, a now-disbarred Memphis attorney accused in court papers of mishandling White’s money, the former Army combat soldier’s tone changes. ….”David Meadows’ life revolves around bottles of medicine cluttered on his living room end table and a $200-a-week spending allowance the disabled veteran receives from the federal government. Still, it was a comfortable life, until the brain-damaged Army veteran got a call last week informing him his government-appointed conservator — a stranger who manages his money — was under federal investigation. Meadows said a Department of Veterans Affairs representative reported his account had been frozen — it was unclear when his next check would come. “If my bills aren’t paid I’ll be out on the street,” the graying Meadows, 62, said from an easy chair in his modest Millington rental home. …”Bobby Bouie sobbed as he stood before the judge, turning heads as he pleaded his case. The disabled veteran showed up unannounced this week in Shelby County Probate Judge Kathleen Gomes’ courtroom with a hard-luck story: His power was getting cut off, he had no money, and he had no where to turn for help. So he returned to the court that oversees the disability payments he receives from the government — payments that suddenly stopped coming. “My life’s been holy hell,” he later told a reporter. Bouie’s act of desperation marks the latest in a Department of Veterans Affairs unraveling of the actions of a now-fired fiduciary who ran the financial affairs of as many as 19 Memphis-area veterans. As the investigation grinds into its fourth week, some of those veterans, deemed mentally incompetent or otherwise incapable of handling their own money, are reporting severe financial hardships because their VA accounts, their financial lifelines, have been frozen.”…..
…”A Memphis lawyer suspected of mishandling disabled veterans’ money has been temporarily suspended from the practice of law. The disciplinary arm of the Tennessee Supreme Court ordered Keith L. Dobbs to suspend his law practice and reveal the location and bank account number of all trust accounts he controls. Dobbs is a fiduciary appointed by the U.S. Department of Veterans Affairs to manage the finances of as many as 19 Memphis-area veterans in recent years. …”The extent of the financial damage caused by a Memphis lawyer now under investigation by the Veterans Administration (VA) for mishandling veterans’ funds is now becoming more clear. Dobbs was originally the subject of a Daily Caller exposé in 2014 featuring the plight of a Korean and Vietnam War veteran named Norman Hughes Jr., then 79. Hughes was forced to move out of the home of his caretaker, where he paid $2,700 per month and into a room in a retirement community where he had to pay $7,200 per month after Dobbs was named his conservator. In Hughes’ case, he began with a bank balance of just more than $150,000 when he entered guardianship under Dobbs’ care. That balance had declined to $80,000 at the time the article was written.